Another year of anime and blogging in the books! Thank you all for reading the 12 Days of Anime posts until now. To end off, we take a look at my top 2018 anime. As mentioned before, I drop shows mercilessly and don’t pick up many shows in a given season, so if you don’t see your favourite show in there, chances are I haven’t watched it (let me know if they’re worth watching!). Also, multiple great shows like Jojo Season 5 and Run with the Wind are continuing, so I’ll hold off until they finish (I have no idea if Golden Kamuy will continue, but its current story does sound incomplete). Without further ado, let’s run the list! Less of an Honorable Mention, and more of an “oops I wrote about this already last year forgetting that it was going to continue into Winter 2018”. It’s a great series, as long as you accept the fact that it’s going to flip back and forth between silly slapstick and solemn drama. You can read my thoughts in my Best of 2017 list here. I had unrealistic expectations going into this show, so I didn’t enjoy it as much as I would have liked to. To its credit, Violet Evergarden looks absolutely gorgeous, and some of its one-off episodes dealing with love and loss were easily the show’s highlights. More recently, I watched the OVA, which was another of the aforementioned one-episode gems, so I think I will have to rewatch the show to form a fairer opinion. 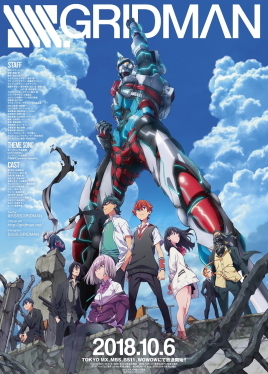 Gridman pays homage to earlier mecha-vs-monsters shows with its bombastic fights, and to earlier Gainax works like Evangelion with the framing of certain sequences. However, its emotional core lies not within the fighters, but within the lonely villain-god struggling to make connections and the normal teenage girl who always tries to reach out to the god no matter how often she gets pushed away. There’s not much to say about Thunderbolt Fantasy S2 that I haven’t said about the first season. It’s still bombastic, self-serious, yet silly at the same time, and full of plotting, betrayals, plot twists. I was in awe at the hype of a human defeating a dragon with the power of his voice, I relished the trickster Lin Xue Ya fuming when his plots backfire, and I chuckled at the absurd flirting between the nihilist monk and the evil demon sword. Thunderbolt Fantasy continues to be a gem. I’ve written earlier about my newfound appreciation for comfy slice-of-life. 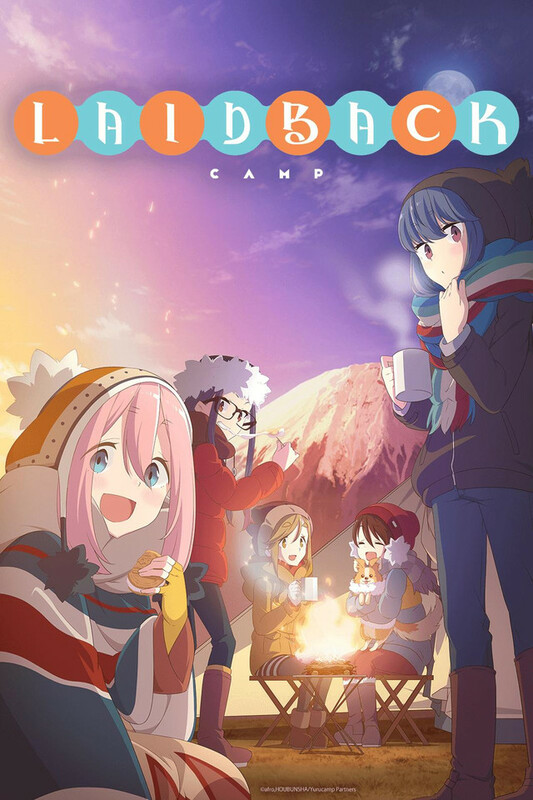 Laid-back Camp showed us pleasant company, great food, and the gentle thrill of escaping to nature while all wrapped up in blankets beside a warm fire. Emiya Gohan also had pleasant company and mouthwatering dishes, and the bonus of being set in an alternate universe where the tragedies of the main Fate series never happened, and the characters are able to enjoy each other’s company and it’s so heart-breakingly cute. Anyway, these two shows were perfect for relaxing, and so I naturally looked forward to watching them whenever I needed a mental break. I’ve written earlier about why I like Planet With. It’s at once grand and personal, asking questions about justice and humanity’s destructive nature, but also showing personal stories of forgiveness and all kinds of love. The fight scenes are decidedly mediocre in terms of the shot selection and the way the CG mechas move. However, as in Gridman, the emotion core of the story is in the interaction between the characters, rather than in the fights. Oh, and the show has a great sense of humour: the absurdity of sentient extraterrestrial house-pets meowing and barking at each other had me chuckling more than once. 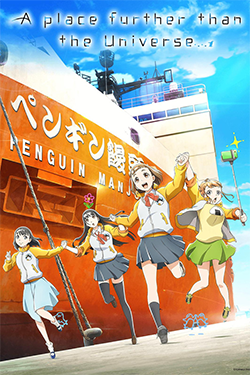 A Place Further than the Universe (henceforth Yorimoi) is a story of grand adventure and a coming-of-age tale. It features a core of strong characters, each with compelling motivations: Kimari with the ennui of adolescence and a desire to do something interesting in her life, Hinata with a cheerful exterior hiding a toxic past she wants to escape from, Yuzuki terrified of loneliness and longing for human connection, and Shirase stubbornly chasing the ideal of her lost mother. Throughout the series, it is incredibly satisfying to watch the girls’ character growth, as well as the easy banter, the companionship and the support that they provide each other. Overall, Yorimoi is a wholesome tale of adventure, a compelling character drama, and a nice coming-of-age story. It features strong character writing, good humour, and a number of emotional highlights, and it takes the top spot on my list. And that’s a wrap! 2018 has provided a number of strong shows, and with series like Run with the Wind continuing in the Winter and Chihayafuru S3 scheduled for next year, 2019 doesn’t look to disappoint either. Thank you all for reading this blog: it makes my writing worth it. Happy Holiday Season everyone! You can read my other posts for the 12 Days of Anime here. Previous Previous post: [12 Days 2018] Day 11: Best of Anime, Part 1! And it well deserves the#1 slot… It’s my AOTY as well.